Acting Prime Minister Nikol Pashinyan on Wednesday visited the Ministry of Economic Development and Investments to introduce the newly appointed acting head of the agency. 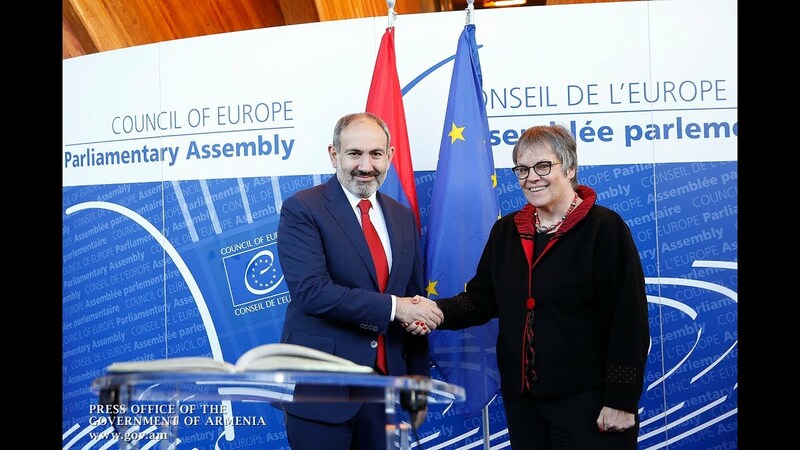 At the meeting with the staff, Pashinyan also thanked the outgoing minister, Artsvik Minasyan, for the joint work in his cabinet over the past months, highlighting the experience of past collaboration also in parliament. Congratulating the acting minister, Tigran Khachatryan, on taking office, Pashinyan express hope that his experience in the sector will be contributive to the swift implementation of the reforms and projects initiated. Minasyan, a member of the Armenian Revolutionary Federation-Dashnaksutyun (ARF-D), was relieved of duties based on Pashinyan's October 3 decision to sack all the ARF-D and Prosperous Armenia cabinet members (after the two parties' parliamentarians' support to the controversial amendments to the National Assembly's Rules of Procedure).